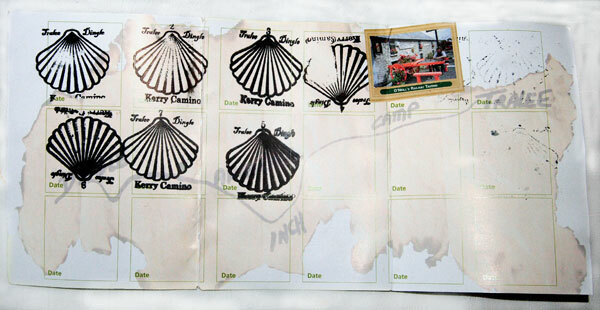 The log book opens out into a sheet with spaces for each stamp. 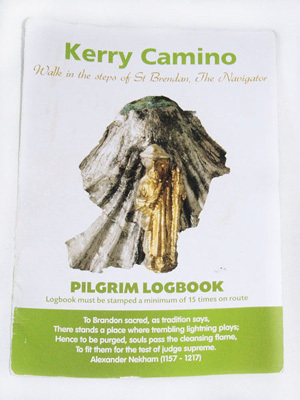 Here is a log book that has stamps in it. Give tips to the novice walker on basic safety in the outdoors it also outlines how a walker should behave with regard to private property, closing gates after you and respecting the environment. 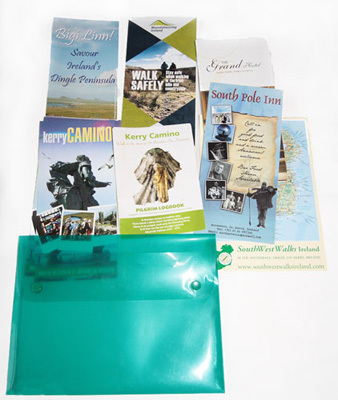 Depending on where you get your pack there will be other leaflets and information added to the pack as we supply the pack and containing wallet to tourist offices and hotels in the region (for free). These establishments are free to add information on services and things to do in the locality.